TIMELESS STYLE: The soft white pine and simple lines coordinate with home décor styles from Colonial to ultra-modern, and kids from toddler through teenage years can blend with their changing color favorites and bedroom themes! 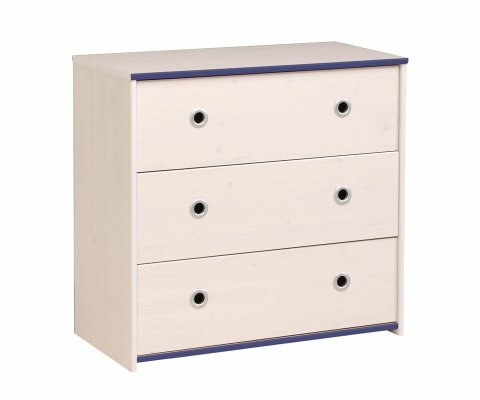 STURDY AND STRONG: The dresser is made from top-grade MDF boards, and heavy-duty steel hardware and drawer slides, so drawers won’t sag and go off track with the weight of clothing. 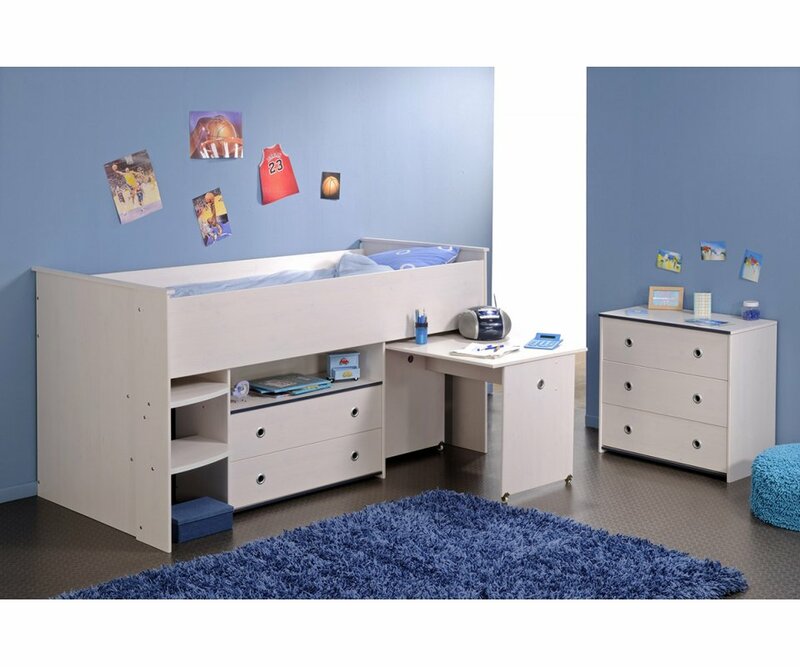 3 ROOMY DRAWERS: Three wide, deep drawers store and organize all your child’s folded clothing, even larger teenage sizes! DURABLE VENEER FINISH: Soft white pine woodgrain veneer is elegant, easy to keep clean with a damp cloth, and resists scratches, stains, water ring damage and fading from UV rays. ACCENT COLOR: A rotating trim bar converts the trim from bright pink to navy blue, to coordinate with your child’s bedroom theme! 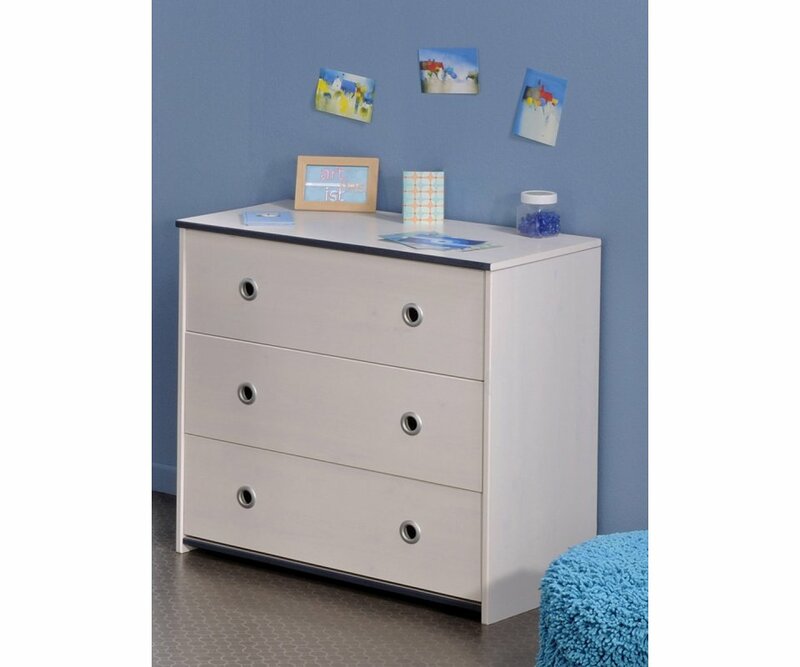 RoomSmart’s Smoozy dresser is designed to fit in a small amount of floor space, yet provide maximum storage solutions for your child’s room. 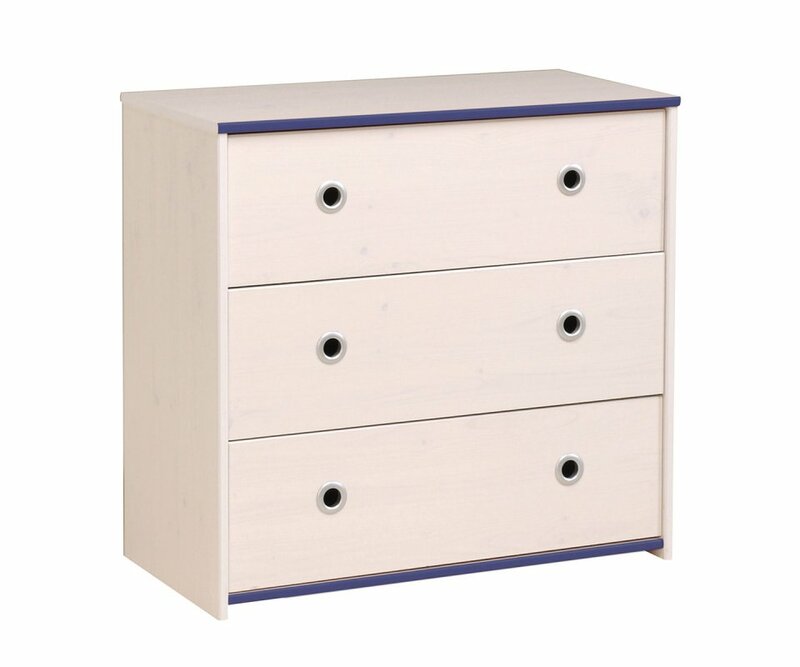 The dresser has 3 wide, roomy drawers that can hold all the folded clothing, even bulkier items like jeans! 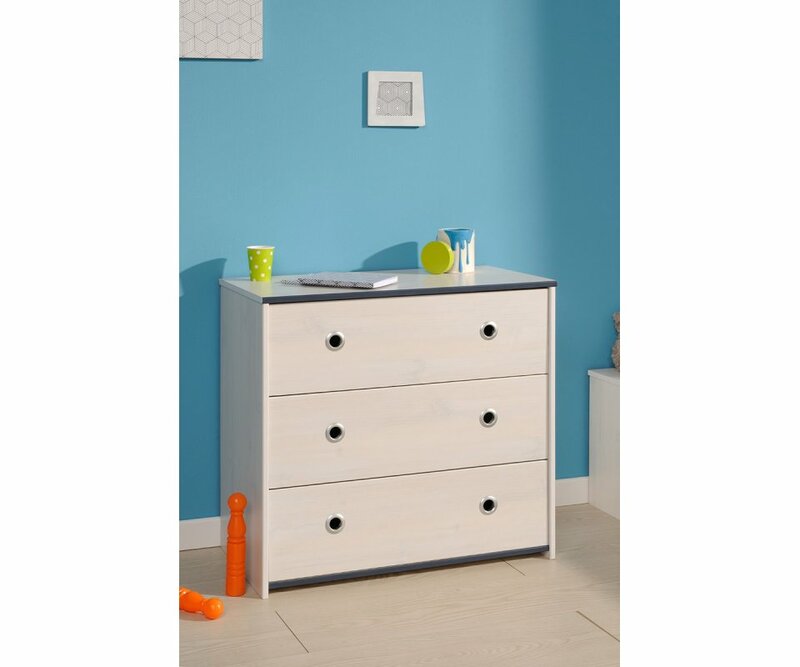 With timeless style, the soft white pine woodgrain dresser will blend with most home décor styles, from Colonial to ultra-modern, and will coordinate with your child’s ever-changing favorite colors and bedroom themes as he or she grows up! A rotating color bar features bright pink and navy blue trim, so you can add a pop of color to blend with the bedroom theme for your boy or girl! 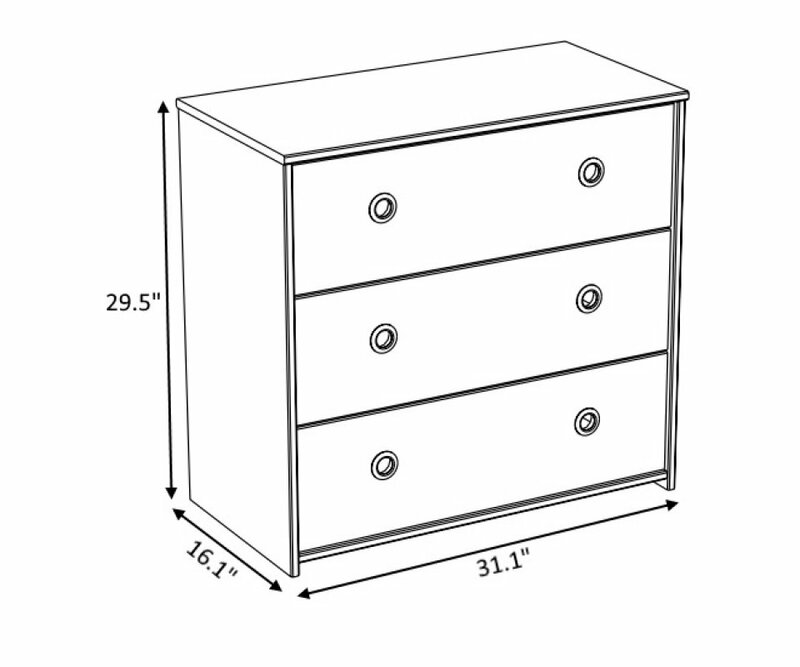 The dresser is made from top-grade MDF boards, and heavy-duty steel hardware and drawer slides, so drawers won’t sag or split, and won’t go off track from the heavy weight of stored clothing. A premium veneer finish is elegant and lustrous, and resists scratches, stains, water ring damage, and fading or yellowing from exposure to UV rays. 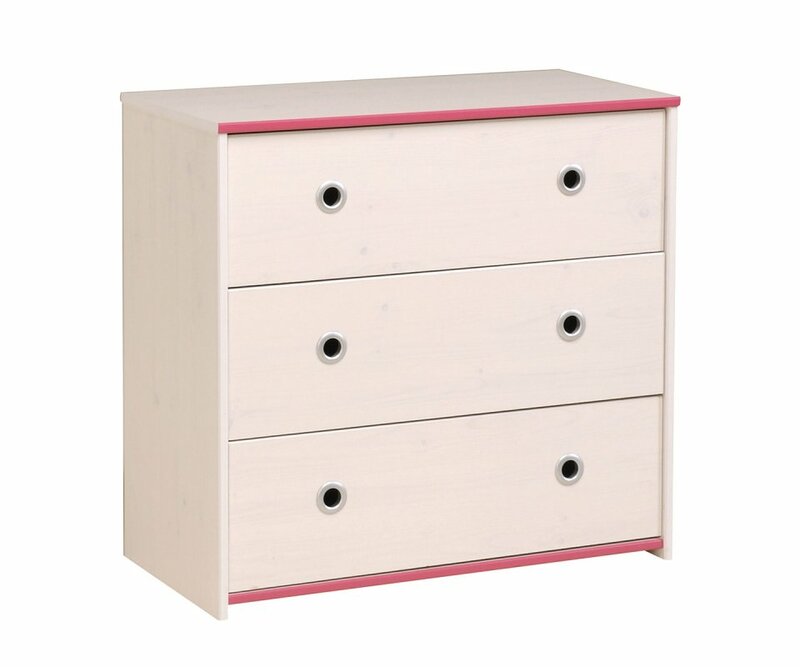 This is a dresser with a color palette and style that will be with your child from toddler to teen years!